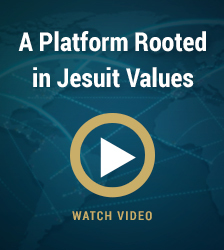 Our Jesuit colleges and universities around the globe are uniquely positioned to educate students to confront societal problems and advance social justice, which is part of the core mission and values of a Jesuit education. One lens through which a growing number of our higher education institutions are boosting their community impact is through social entrepreneurship education and development. Due to its higher order, more holistic role as an ethical model of entrepreneurship that encourages “innovative use of resources to explore and exploit opportunities that meet a social need in a sustainable manner” (Sud et. al, 2009) and its potential as an effective mechanism for generating economic, social and environmental value (Brenzei, 2012), programs in social entrepreneurship are being explored and developed by many colleges and universities, though there is significant variation in size and scope. 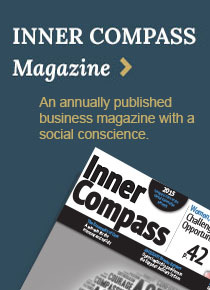 This article describes GCSEN’s Social Entrepreneur Systems (SES) Institute, that assists colleges to develop and deploy social entrepreneurship education to advance social good and brings a proven model of teaching, learning and application to accelerate the development, growth and impact of social enterprises, driven by undergraduates, graduates and supportive faculty. The SES Institute was briefly described in GCSEN’s paper presented, by GCSEN’s CEO, Michael Caslin, and coauthor Dr. Mary Kate Naatus of Saint Peter’s University, at the 2017 IAJBS conference. The valuable faculty and administrative feedback we received assisted us to more fully develop the SES model and present it at the 14th Annual Social Entrepreneurship Conference sponsored by Northeastern D'Amore-McKim School of Business and the University of Southern California Marshall School of Business. The SES Institute Model aligns with leading foundations calls for social renewal e.g., the Case Foundation “America Needs Big Ideas to Heal Our Divides” (Breaking Good10.23.17) by integrating updated social entrepreneurship education with preparing social entrepreneurs to form social enterprises that deliver economic and social value as part of an overall community economic development program. Our article will provide the reader with an overview of the SES Institute by briefly reviewing its impact in three main areas, Prac-ademic System, Place-Based Economic Development and Start-Up-to-Scale Regional Ecosystem Model. The SES Institute has drawn on current research related to social entrepreneurship education and economic development. Research by a number of experts has stressed the need to upgrade social entrepreneur education by adding so called ‘soft skills” such as collaboration and systems thinking to traditional founder skills. At the same time, there is a growing call to re-imagine capitalism by business leaders such as Dr. Michael Porter (Harvard Business School), Sir Richard Branson (Founder of the Virgin Group) policy experts, political leaders and others across the political spectrum. Figure 1 presents some of the terms identified with “stakeholder capitalism”, along with some of the terms applied to hybrid organizations combining revenue and social value, and emerging forms of finance available to triple bottom line enterprises. There is also a growing body of research and best practices related to Place-Based community economic development, such as the “pipeline” approach to upgrading skills of social entrepreneurs and supporting the growth of social enterprises in communities. “Among higher education attendees, student loan defaults which have accelerated past 8 million+ (occurring every 27 seconds daily) and underemployment and unemployment approaching 50% for the class of 2013 and beyond. While a small number of high-growth metropolitan areas have bounced back strongly in the recovery, real median household incomes remain below their pre-2000 peaks, in almost two-thirds of the 3,142 US counties and county equivalents. The Prac-ademic system is practitioner focused, supported with academic rigor, and updates social entrepreneur education for the challenges of the dawning global millennial driven economy. It combines state-of-the-art best practices from leading figures of social entrepreneurship, proven principles from entrepreneurship, and current innovative management techniques, such as balanced score card and open book management and sustainable community frameworks. Social entrepreneur education to date has been heavily influenced by material drawn from business courses and non-profit management. The demands and challenges of creating and scaling social impact, developing sustainable solutions and innovative business models require social entrepreneur education to equip social entrepreneurs with additional skills that include managing a successful 4P enterprise (People, Planet, Profit, Place) and also include tools for organizing social change. The 3 components below describe the key elements of the SES program. 1-Course Content Prac-ademic System’s 7 Level Certification, prepares social entrepreneurs to Launch and Sustain Social Enterprises that deliver Social Impact and offer career and resume building badging. 2-Course Design Meet the needs of accredited undergraduates, graduate students and adult learners. 3-Course Delivery The SES Institute offers intensive 70 hour undergraduate and graduate course ware Blended Learning Webinars supported by MIT’s Open edX platform and coaching. Figure 2 outlines initial phases of the Prac-ademic 7 level Certification system, that prepares social entrepreneurs to organize the work associated with developing sustainable solutions, business models, positive impact, and transformative scale. The three pillars of sustainable development are often referred to as triple bottom line impact (People, Planet, Profit). GCSEN’s Prac-ademic system has emphasized 4P Impact by adding “Place” to the more widespread triple bottom line formula. Adding “Place” to create 4P Impact reflects Johanna Mair’s (ISESE Business School , Spain) insight that “The defining purpose of social entrepreneurship, regardless of the financial model is to effect social change by altering the social, economic, and political day to day realities at the local level.” Mair provides us with an important reminder that” big ideas”, “grand strategies” must ultimately be implemented at the local level if they are to be effective and long-lasting. In order for the SES Goal “moving the world to a better place one campus and one local economy at a time”, to be realized, stakeholders including social entrepreneurs, college and community officials, require both a framework for setting sustainable goals and a methodology for organizing the work to meet those goals. The Star Community Rating System below, developed by ICLEI-Local Governments for Sustainability, is used by communities around the world to plan and track their sustainable programs. Organizing the participation of the full range of community stakeholders to develop a sustainable community economy is illustrated by the Social Entrepreneurial Ecosystem chart from Arthur Gopak’s article, “A Deeper Look At Social Entrepreneurship: Key Trends In 2016 (And Beyond)”. The Chart below illustrates that Higher Education is one of many community entities collaborating on economic development; Market orientation is balance by social orientation and Ethics, Norms, and Values are part of the process. The SES Institute provides the organizational structure to support the development of the Prac-ademic system and the Place-Based Sustainable Community Development process. Certifying 100,000 social entrepreneurs who have begun their seven (7) levels of Prac-ademic education as Certified Meaning Makers (CMMs). The goals of the SES Institute should be considered as an initial arrival point of the Institute’s first phase, a foundation of social entrepreneur meaning makers generating 4P impact, and communities serving as examples of the quality of life that can be achieved with the aid of social enterprises dedicated to producing 4P Impact. The SES Initiative will be scaled up in subsequent phases by expanding to other colleges around the globe. prac-ademic system and role in Place-based development. Figure 3 provides examples as to how college can scale-up their SES Institute program. Examples of the internal (campus-centric) ecosystem could include the SES institute’s 4P social entrepreneur Boot Camp, Executive Education, accredited courses on social entrepreneurship including cross-disciplinary courses blending social entrepreneurship courses with subjects such as English, History, Computer Science, Sociology and others. In addition, the SES Institute can assist universities in designing certificate programs, Minors, Majors, Master’s, Sc.D. and Ph.D. degrees or other continuing education courses and programs or special topics in 4P social Entrepreneurship. Additional services that can be provided, that would be instrumental to deliver internally to ensure longevity and long-term success include mentoring and coaching as well as facilitated interaction of student entrepreneurs with community residents and entrepreneurs through hybrid courses and micro-internships, which will be described below. The external or community-centric ecosystem to enhance to broader university impact on the surrounding area, could also include student internships with local groups designed to “apprentice with the problem”, ecosystem mapping of the local/regional enterprise ecosystem, utilizing the “pipeline” and other methodologies to help grow social enterprises, consulting and technical assistance provided to local businesses, courses supporting the development of “Intrapreneurs" at local employers. Finally, an important area to maximize impact through external partners, there should be cross-sector collaboration with local stakeholders e.g., businesses, elected officials, NPO’s, advocacy groups and local community residents on sustainable development. Wheaton College of Norton MA is the SES Institute’s first campus partner. Saint Peter’s University and the SES institute will be collaborating on the creation of a new Prac-ademic social entrepreneur course with intended launch in fall 2018, and in this case, the Jesuit mission will be specifically infused into the course description and Student Learning Outcomes to ensure mission-alignment as social entrepreneurship initiatives are developed. In addition to drawing on two years of primary research GCSEN has tested the Prac-ademic system in four 4P Social Entrepreneur Boot Camps designed for undergraduates and working adults. Business formulation rate of nearly 50% for Boot Camp graduates. There is an urgent need to address the growing divisions in our society and build more inclusive communities, campuses, and economies. At the same time, our higher education institutions are facing growing challenges in our rapidly changing global economy with constantly evolving technologies impacting the nature of work and the whole employment landscape. Programs such as the SES Institute can help to thoughtfully address these challenges as part of a broader development plan and increase social good on three levels. First, colleges increase the number of social entrepreneurs prepared to tackle societal problems and become change agents, which is particularly fitting at Jesuit institutions because it aligns with core values and mission. Secondly, colleges can assist community stakeholders to develop place based sustainable economies that enhance residents’ overall quality of life. Thirdly, this type of model and approach can, over time, make a significant contribution to developing stakeholder capitalism that balances social value with revenue. The SES Institute provides a research based plan of action “to move the world to a better place one campus and one local economy at a time” through the combined efforts of social entrepreneurs, social enterprises, and community stakeholders collaborating to develop, sustainable communities. A parting thought, the SES Institute also provides Business Schools with an opportunity for growth and renewal by applying “social entrepreneurship in the context of a transformation of capitalism that Harvard’s Dr. Michael Porter argues is already under way. To Porter, “Students educated in social entrepreneurship should be catalysts for this transformation working with practitioners as mentors, advisers, and consultants, and a wider change must include rethinking the entire value chain of the business school to create shared value in its operations and societal impact”.